Two of Disneyland Resort’s most popular quick service restaurants are about to close for some major updates. 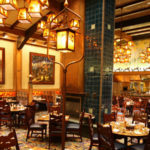 Tangaroa Terrace at Disneyland Hotel, and White Water Snacks at Grand Californian Hotel & Spa will undergo refurbishments and updates in the coming weeks. 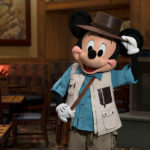 The Disney Parks Blog has announced that two Disneyland Resort quick service locations will be closing soon to undergo refurbishments. Tangaroa Terrace is expected to reopen in early 2019 and White Water Snacks will reopen later this year. 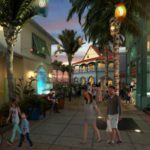 The iconic location will reopen as the Tangaroa Terrace Bar & Grill featuring a new outdoor bar and updated patio where guests will enjoy island cocktails and Asian-inspired cuisine. 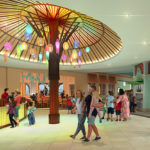 Inside the restaurant, updates include light fixtures made of colorful fishing floats and netting, a tropical mural, and bamboo accents. Along with these new additions, guests will also find a dedicated service window selling various coffee selections and Dole Whip. The grill will offer options for breakfast, lunch and dinner, with an open-air marketplace for quick bites. During the refurbishment, guests may visit The Coffee House, Trader Sam’s Enchanted Tiki Bar, and Steakhouse 55. The rustic casual quick service location will soon be sporting a fresh new look when it reopens in late 2018. During the update, guests can visit Hearthstone Lounge for a fantastic variety of grab-and-go food and beverage options. 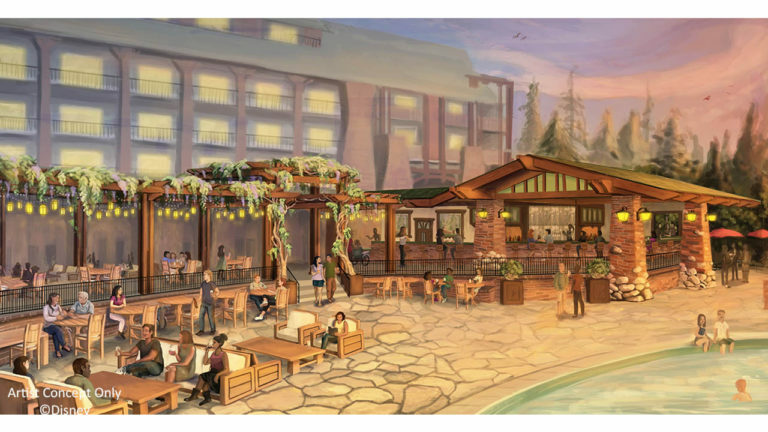 Along with the White Water Snacks update, the Grand Californian will also be getting a new pool bar in spring 2019. The gorgeous concept art for this location highlights the hotel’s signature Arts and Crafts design, natural boulder stonework, and clinker bricks. The bar will also feature a custom tile mural along the back wall, a lovely trellis structure to provide shade and of course plenty of new lounge and table seating.